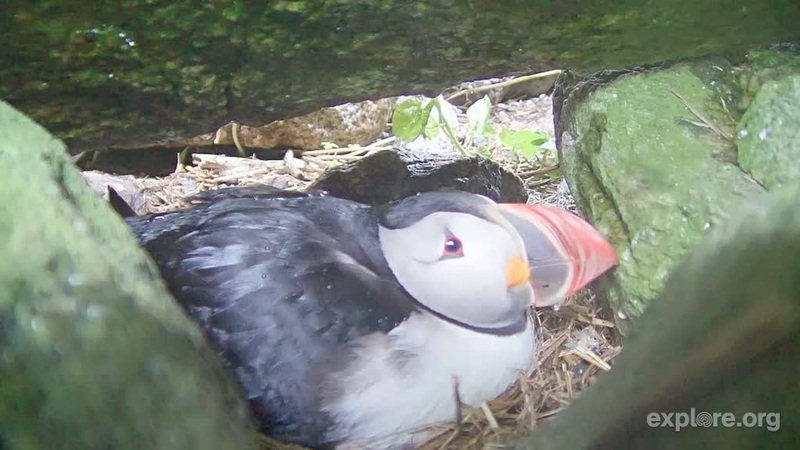 Take a look at the Puffin Cams on Seal Island, Maine. This is a snapshot above, but the camera feeds are live. Those are some odd looking ducks. They have just arrived on the set after seeing the folks in make-up.